In music, sampling is when a portion of one sound recording is reused as an element in another sound recording. The term sampling was coined in 1979 by the creators of the Fairlight Computer Musical Instrument, a digital synthesizer/ sampler/ digital audio workstation. Xochi, the host of Free Samples, stumbled upon the art of sampling sometime after being gifted Kanye West’s album Graduation at her 5th grade birthday party. Throughout the years, she discovered sample after sample as she listened to more and more music. Two of the best feelings in the world for Xochi are getting to try tasty free samples at the grocery store and discovering samples in music, especially rap or hip hop, either by accident or purposefully researching. 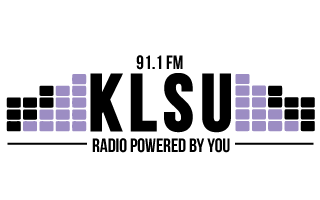 With Free Samples, Xochi brings the excitement and passion these feelings bring to her, to KLSU listeners. Free Samples focuses heavily on rap and hip hop samples from artists ranging from the greats like A Tribe Called Quest and 2Pac, to the new wave of rappers like Kendrick Lamar and A$AP Rocky. Even though sampling is a foundation of hip hop music, samples have taken from and influenced all genres of music, from electronic to pop. Xochi also explores this side of sampling as well through a variety of artists. The show is formatted in a way that the original song, whether it be funk or rock and roll to anything in between, is played and is then followed by the more recent song that samples from it. Many times, samples create a type of chain where 5 different songs are connected by one sample. Xochi dives right in to these chains, interpolations and covers throughout span of two hours every Saturday from 1 to 3 p.m.